At midnight, with a fireworks show made by Myth, with a fancy, homemade cake, with all of Neopia to celebrate. Even the Petpets were there to show their appreciation... And that’s why, on the 16th day of the Month Of Running, every year, we have a huge party with all of Neopia. What is Gadgadsbogen? The month of Running is always cause for celebration on Mystery Island. Throughout the entire month, natives and tourists alike gather on the island to celebrate Gadgadsbogen. If you are wondering what Gadgadsbogen is, it literally translates to “good good day!” In short, Gadgadsbogen is a harvest of fruits, the most popular food group on the island. During the month, a number of new fruits sprout from the ground and replace the island’s older fruit. While ordinarily, you would think the natives know what fruits are going to emerge from the ground, this is not the case on Mystery Island. No one knows the shapes or kinds of fruits that will ripen during this festival, in fact, they are entirely new fruits to the island. When Cinto Pango names the fruits, Gadgadsbogen is officially over. How to throw the best Neo party ever! Hey there! We heard you’re planning to throw a party. You’ve already read Flotsam Party Ideas and Gelert Day Party Ideas, but you still need a little more inspiration. Whatever the occasion, whether it is a birthday, celebration, holiday, or simply to have a party, here is your one of a kind guide to throwing the BEST party Neopia has ever seen. Written by yours truly, Kellian (k3l26) and Maile (sunshine482), who both hope you have a wonderful party! 1. Theme To start planning, you should start with a theme. This will make your party look coherent and put together! Holiday parties can be focused around the holiday, simple enough, right? 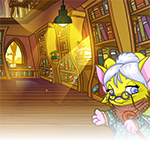 But if your party is for a birthday, you can consider birthday themed or focus on an interest of the birthday Neopet! Many of us are quite familiar with family reunions. But if you are one of those few who don’t know what a family reunion is like, well let’s just say they aren’t the most exciting events to attend, or plan for that matter. Getting together with family, especially those so far down the family tree you don’t know them, can be a unique experience; but often times it’s something you’ll want to avoid at all costs. So for those of you who are unable to convince your owner to leave you at home, here are five ways to make your family reunion more bearable! Central Cavern -as its name implied- was located in the heart of Moltara, sitting snugly between the maze of tunnels above and the pits of magma below. And because of its location, it was known as Moltara's go-to rendezvous point. Whether they be individuals or entire groups, Central Cavern had always been the ideal place to meet. It was also -as Lumin had just found out- a very easy place to lose track of someone. The white Buzz could only imagine what the citizens thought of him as they watched him drag his feet across the ground while heaving heavy breaths. His wings were limp and even so much as the thought of taking to the air again kept them glued to his back. Lumin's legs fared little better and begged for rest as well, but he trudged forward despite their protests. It wasn't long before he attracted the concern of the Neopets around him. Eventually, a fire Hissi approached him. Lumin recognized his face from brief encounters in the neighborhood, but was unable to attach a name to him. The same was true vice-versa, but the Hissi still delicately asked the near-stranger, "Are you alright?" Lumin took the opportunity not to answer, but to grab a hold of his knees and catch his breath, which only served to amplify the Hissi's worry. Eventually, he responded with a question of his own, "Have you seen a glowing Buzz pass by?" "How would you like your coconut milk, Tafiti? Stramberry or Munuberry?" Tafiti opened his eyes into the bright Mystery Island sunshine, and stretched his tail languorously in his wading pool. "Mm… You have any Turihar on hand, Phidianne? No one makes as mean a Turihar Coconut Milk as you." Phidianne smiled knowingly. Tafiti knew full well that she kept one of the best-stocked juice bars on Mystery Island. She held a coconut firm with one hand and drew a machete from the thatched wall with the other, then sliced the coconut clean in half. With the showmanship of a stage magician, she ground and strained a handful of fresh Turihar berries and blended their rich mauve juices into one of the coconut halves. She ran the very end of one caramel-coloured wingtip across the mixture, just grazing the surface. Satisfied with the consistency, she added a straw and pressed the concoction into Tafiti's waiting flipper. "Must be nice to have something delivered to you for a change, eh? "Tafiti took a slow sip and sighed, unsure whether the presentation or the flavour was more sybaritic. He closed his eyes. Tafiti didn't have a great sense of smell, but the scent of turnip, with just a hint of garlic, wafted through the salt air. He sank another inch into the pool, taking care not to tilt his coconut shell. I don’t particularly enjoy being alone in a silent, empty cavern, but here I am. I can hear Korbats in the very far reaches of the cavern doing… whatever Korbats do. I’m not familiar with their habits- as a big, Stealthy Uni, I avoid caves like this. I wouldn’t say I’m claustrophobic, but the enclosed spaces do typically trip up a primal anxiety that I’d rather not think about. As for why I’m in the cave? Well, someone needed an item retrieved and gave me a vague description of what it looks like, and then sent me into the general area it was lost. This one just so happens to be a magic-cancelling cave, so I can’t just cast a retrieval spell and let it come to me and collect my paycheck. I don’t even know how people lose items in these places. And if you lost it here, why don’t you go back in to get it yourself? And why couldn’t they ask someone smaller, like Amulatt? She’s like three feet tall at the shoulder. That’s way more doable than trying to get my frame, which is six foot at the shoulder, eight at my head, through these stupid narrow and low passages that seem to get narrower as I get deeper into the cave. I’ve hit my horn on the ceiling more times than I can count, and it’s not until I’m nearly crouching that I finally see the item I’ve been sent to retrieve. "Of course it’s a necklace," I say to myself. Mhead hurts; how did I-.. where am I? I remembered I was heading to the Shop Wizard and ugh… my head… it feels like those darn Myncis were just using it to play volleyball. What was I-.. AHH! What the… AHHHH!!!! Many of us are quite familiar with family reunions. But if you are one of those few who don’t know what a family reunion is like, well let’s just say they aren’t the most exciting events to attend, or plan for that matter. Starring Florezca the Pink Draik, Nadaba the (less than sensible) Maraquan Draik, and Naydeen the Baby Korbat!